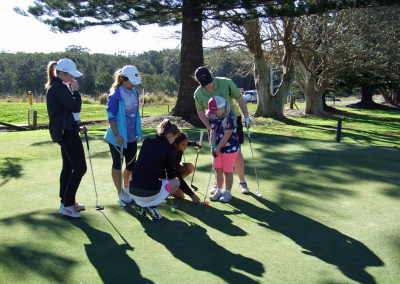 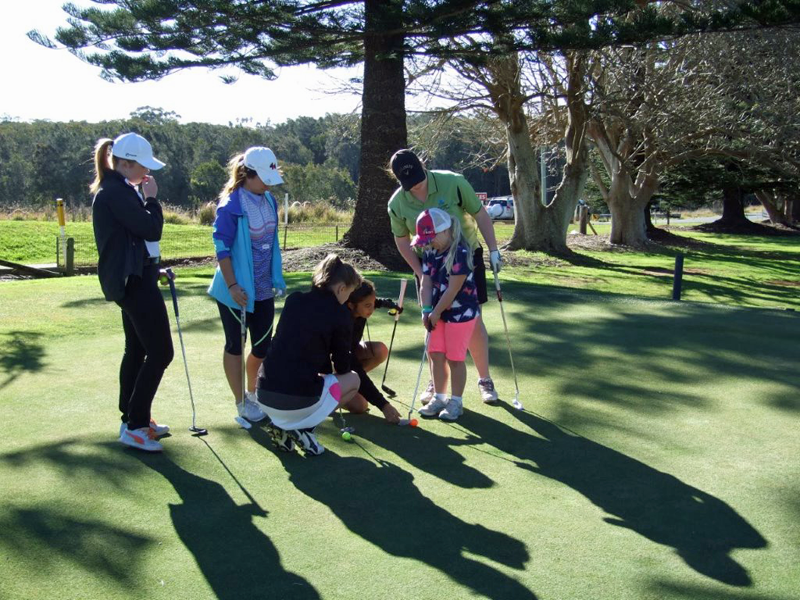 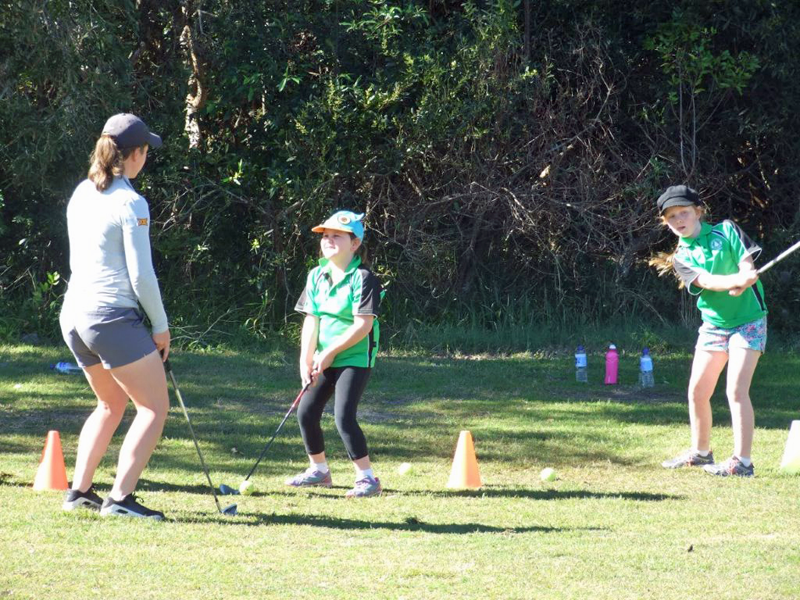 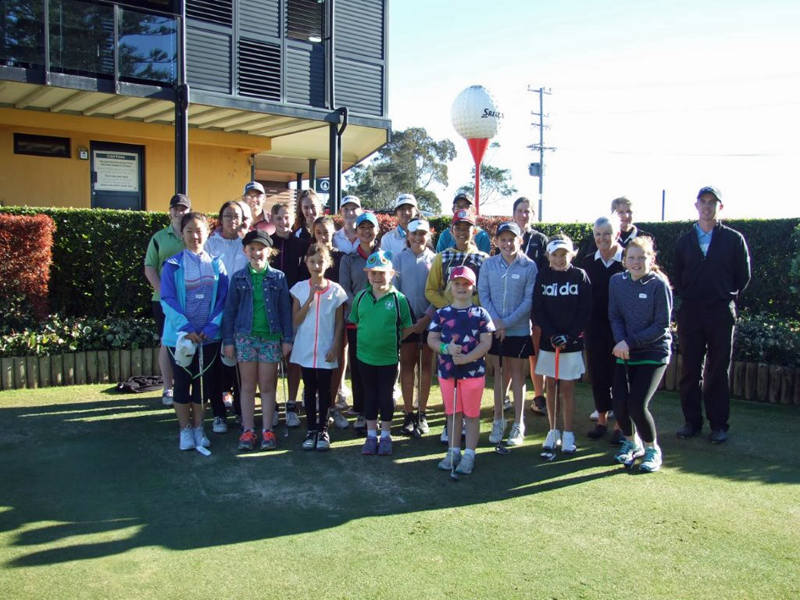 On the weekend of the 29th & 30th July 2017 WGCNC hosted its second golf camp for junior girls in the region to develop their game of golf. 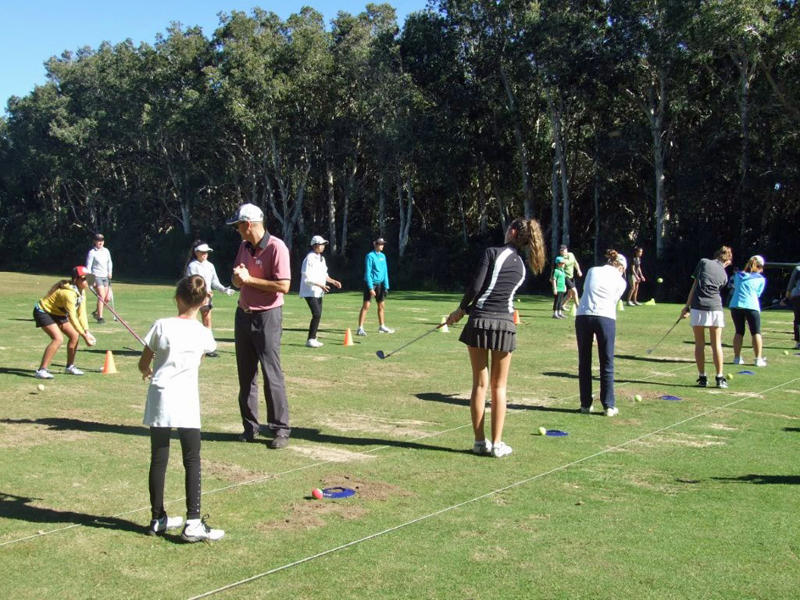 Twenty One girls booked in to attend the Port Macquarie camp. 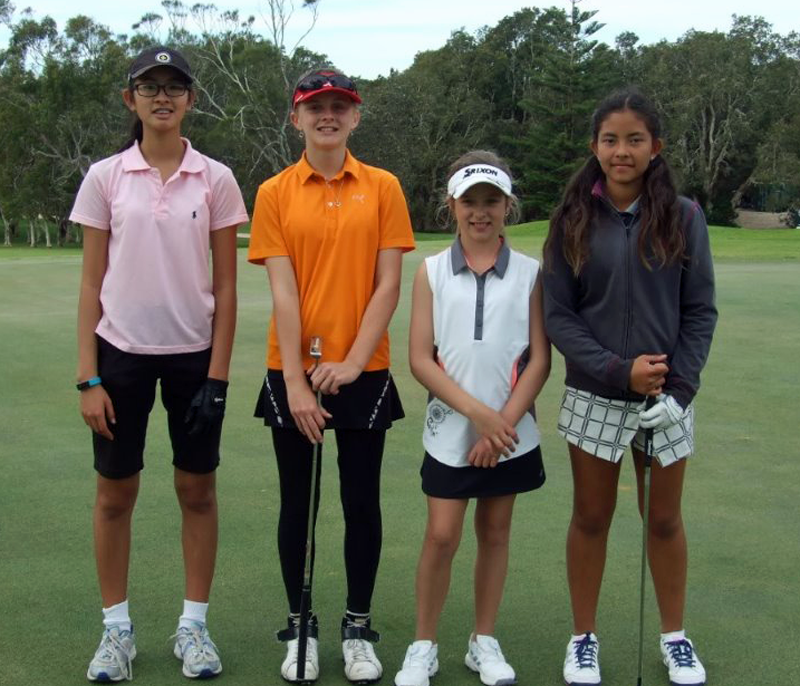 It was great to see a small group of girls travel from North Sydney again. Thank you to JNJG for supporting their attendance, and Michael & Joan Flaherty who travelled with the girls for the weekend. 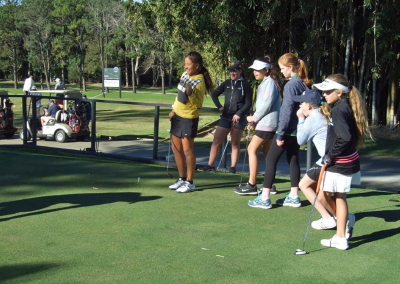 James Single (Professional Port Macquarie) & Amelia Mehmet-Grohn (Coffs Harbour), kindly assisted Brendan Barnes (Sawtell) with coaching on the Saturday, together with the assistant of WGCNC representatives Jan Swift & Verelle Miller. 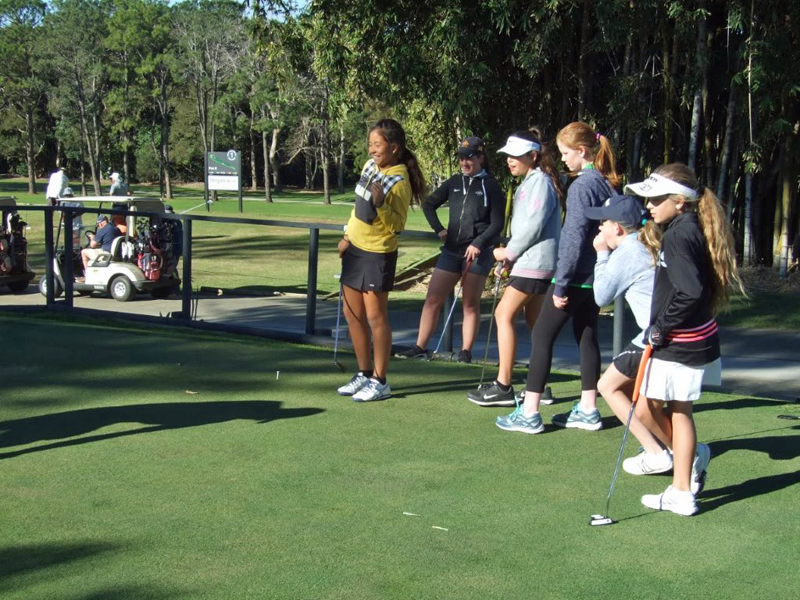 The morning session consisted of stretching & warming up exercises as a full group on the range, the girls then split into two groups. 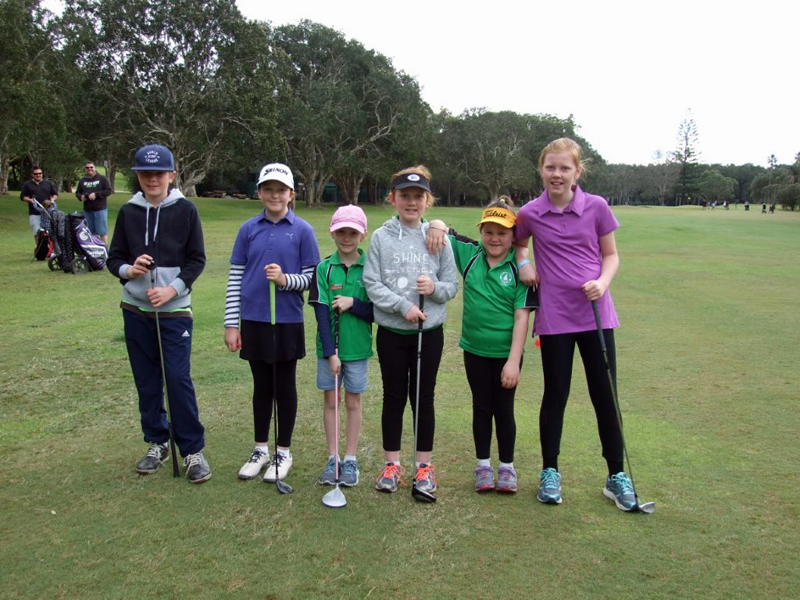 Brendan & James took the more experienced girls for tuition on grips, setup, alignment & 7 Iron swing basics, followed by shots 25-100m. 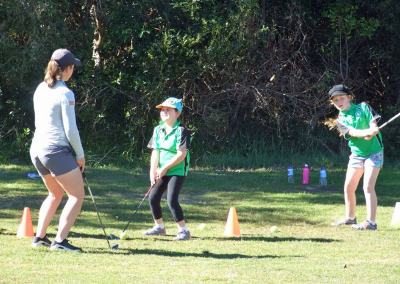 Amelia took our beginners and practiced through game based exercises short game accuracy. 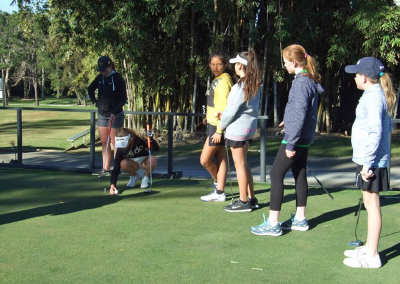 After lunch the girls headed back to the putting area were they had tuition on putting technique, alignment, reading greens and games based practice for distance control. 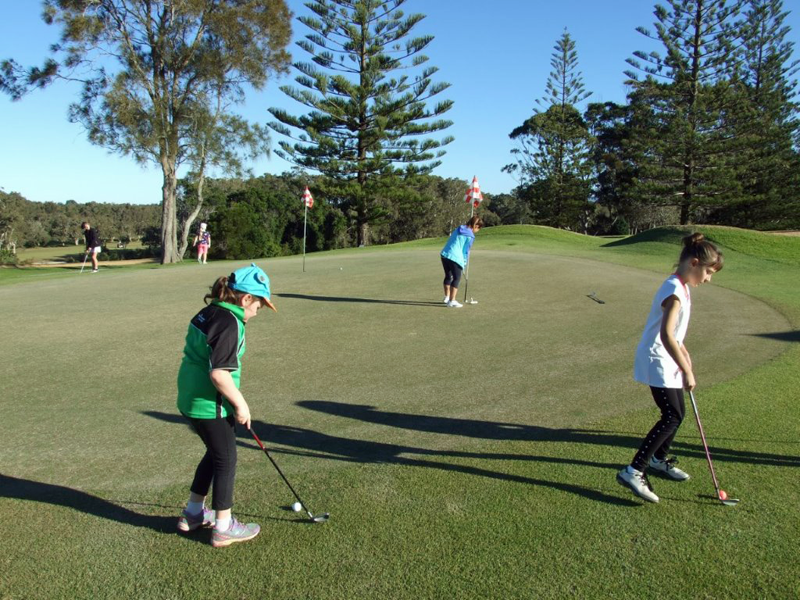 Brendan, James & Amelia then took the girls out onto the course to practice shot selection, etiquette and scoring in preparation for the tournament the next day. 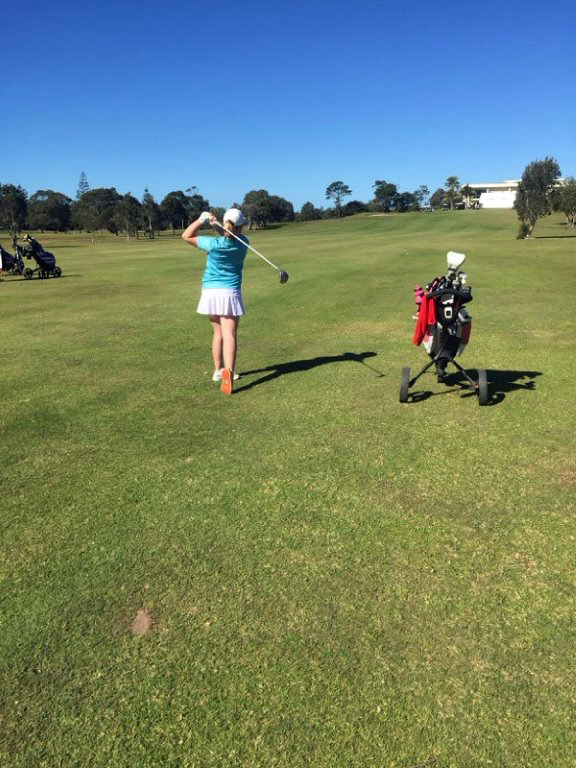 This also included bunker practice on the third hole by Amelia. 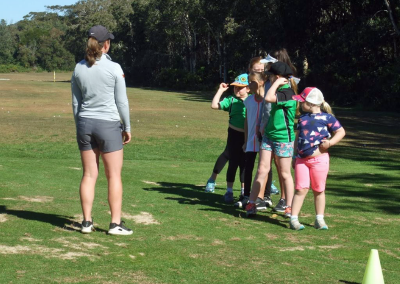 To conclude the day, we conducted an informal interview with Amelia and allowed the girls & parents to ask questions of her experience at College in the USA and her journey to get to this stage of her golfing career. 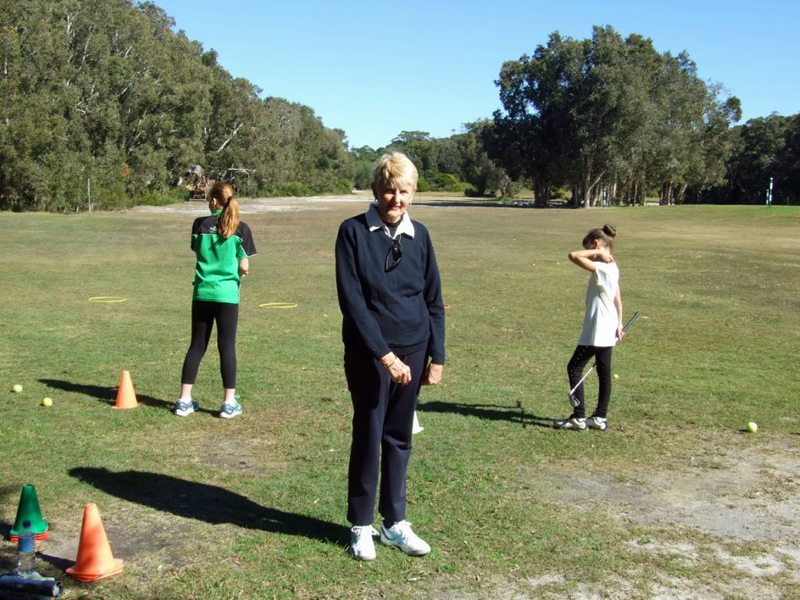 Our night activity was organised at Port’s local indoor rock climbing & laser tag centre. This was fantastic and all the girls appeared to really enjoy the evening and interacted well together. 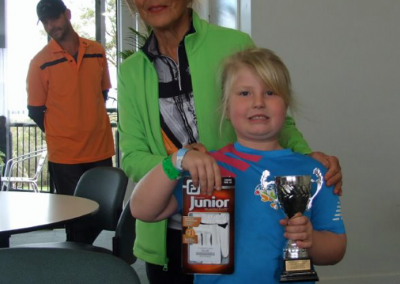 Sunday morning we again gathered at Port Macquarie Golf Club for breakfast prior to participating in their tournament. 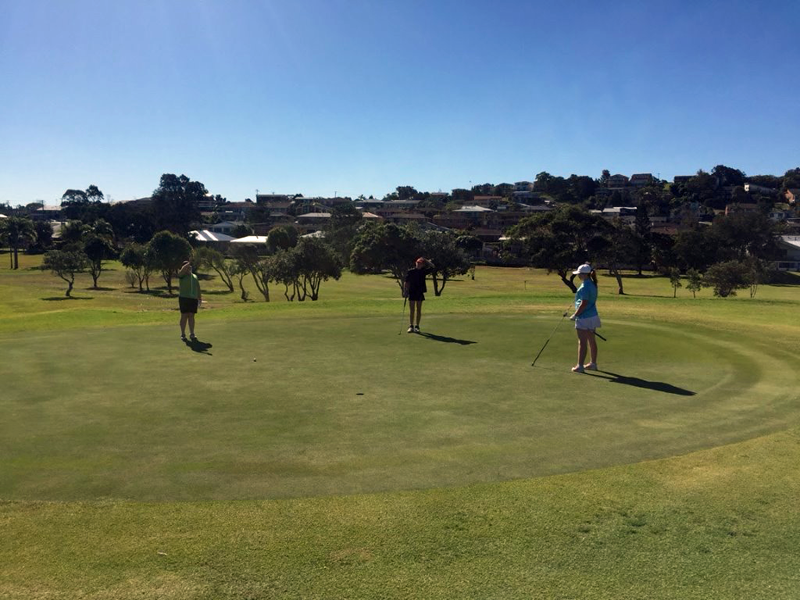 We had fifteen Girls participate in the 18 hole competition, three girls in the 9 hole competition & three girls in the 4 hole competition. 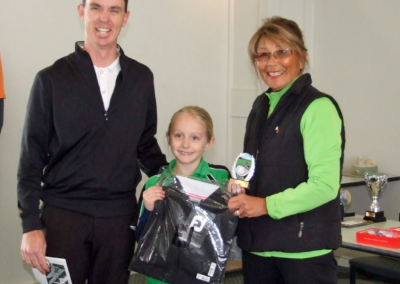 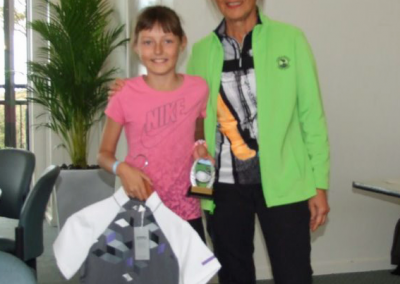 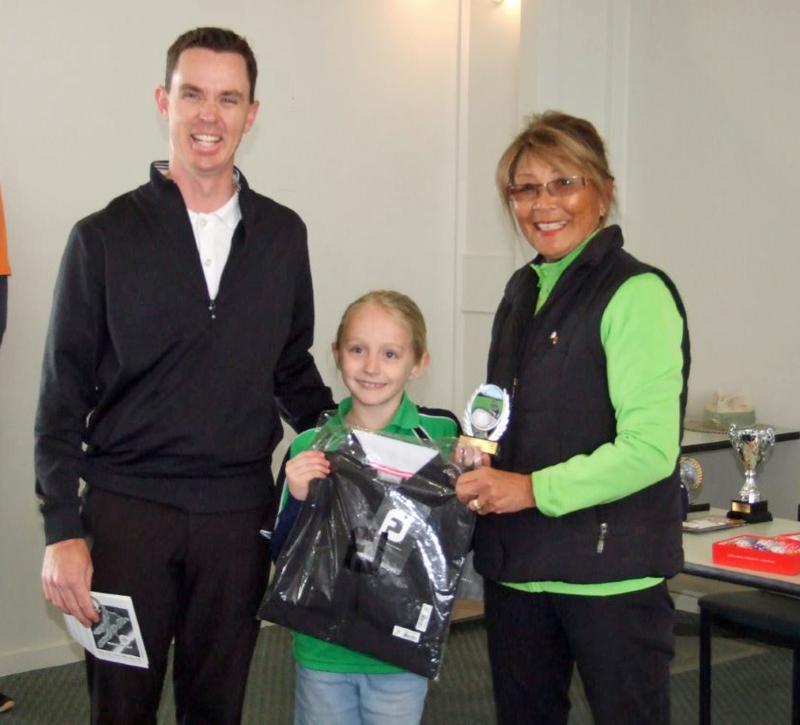 Everyone enjoyed the tournament with plenty of support & prizes for all participants. 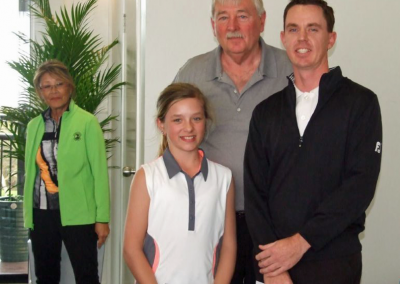 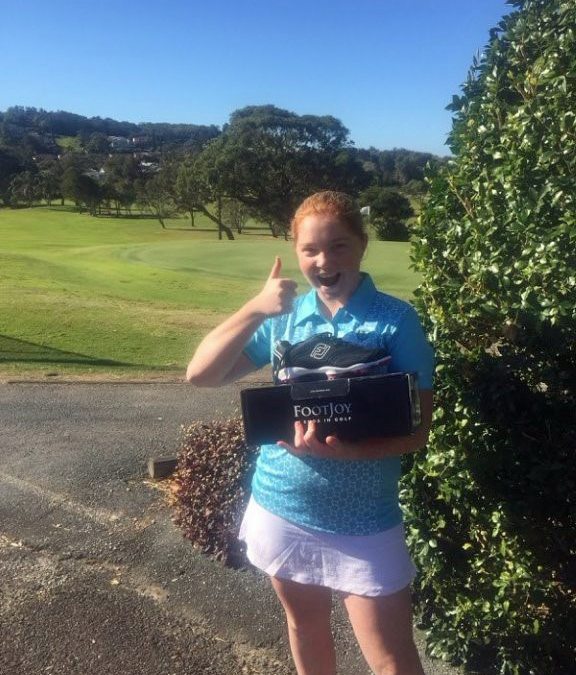 During the 18 hole presentation I also presented Madeline Laws-Farrell (Port Macquarie) with the 2017 Emma De Groot Scholarship which she was thrilled to receive. 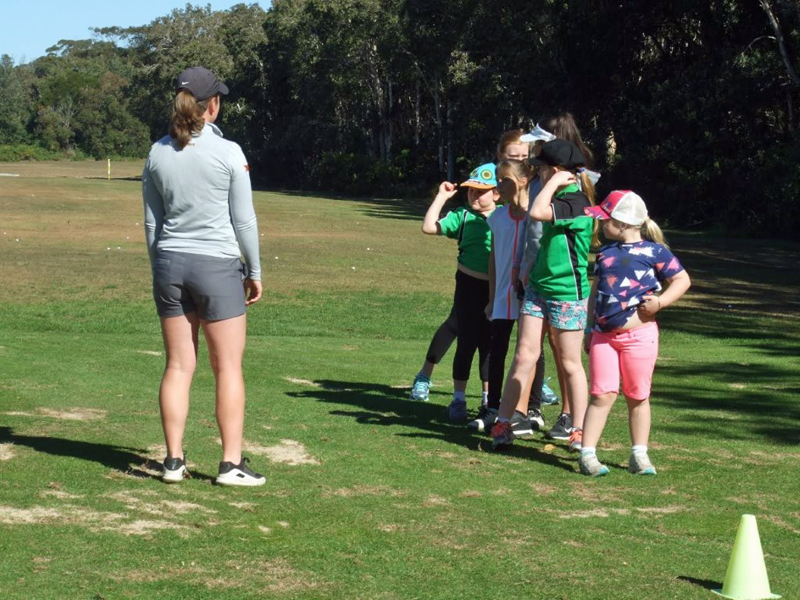 Again the camp would not run successfully without the commitment of WGCNC, JNJG, Brendan Barnes & James Single, for which the girls and their parents are very grateful. 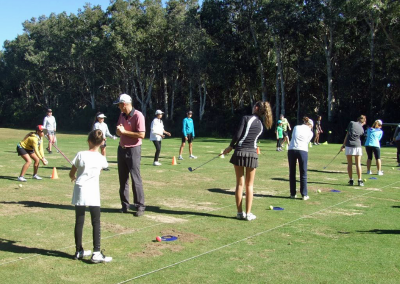 I look forward to our next camp organised for the 2 & 3rd December 2017 at Taree. 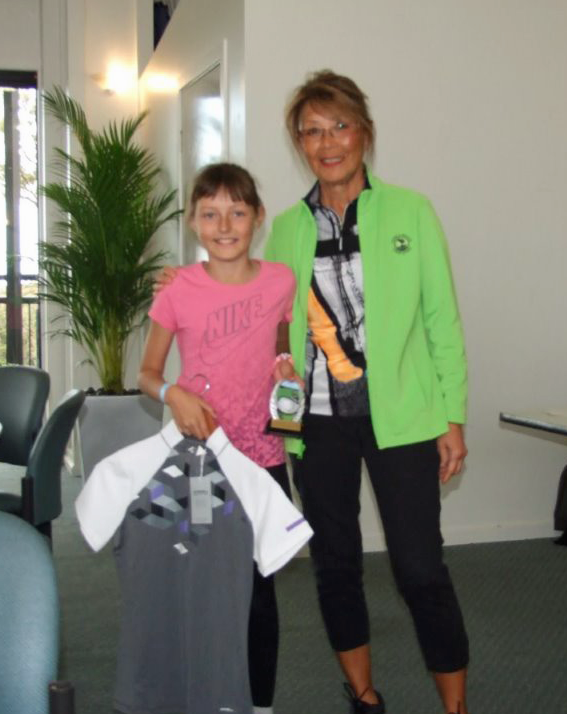 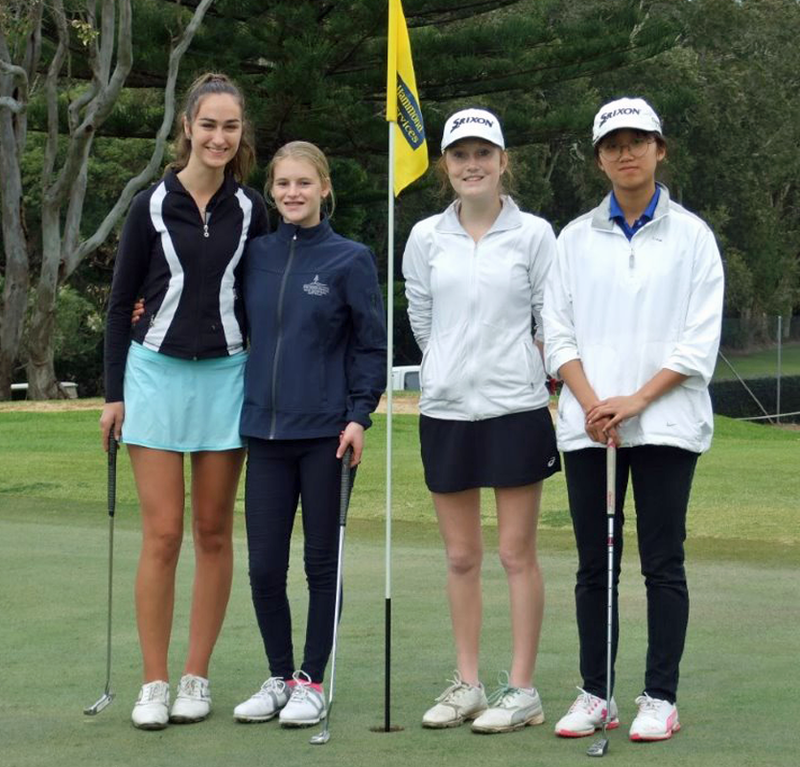 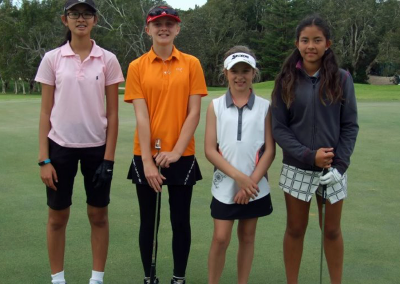 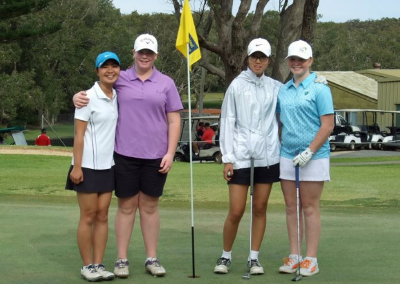 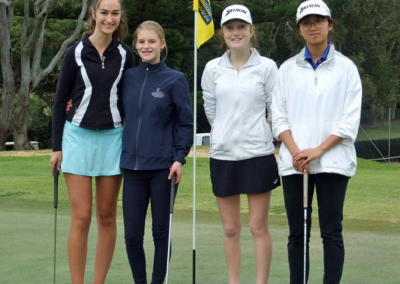 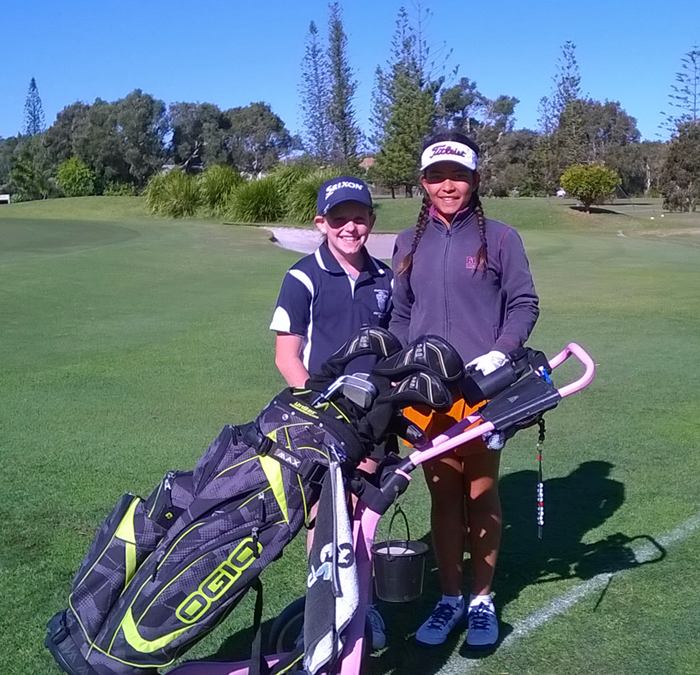 Hollie Fuller (Grafton) & Vanna Limeburner (Kew) competed in the North Coast PSSA Golf Championships qualifier at Yamba Golf Club today. 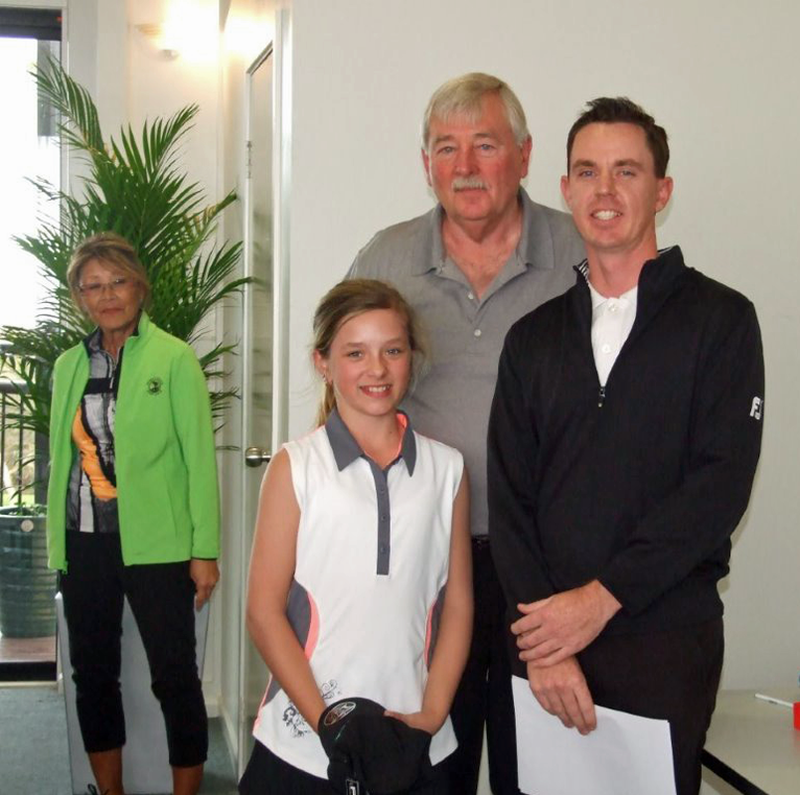 Hollie shot 98 Gross and Vanna shot 107 Gross, finishing first and second. 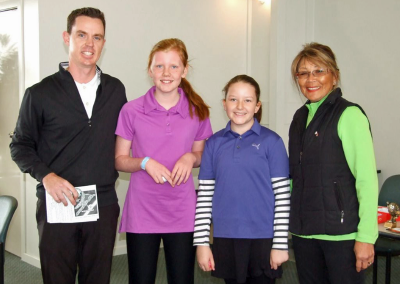 They were selected into the North Coast PSSA Golf team to play the State Championships in Camden Sydney next month 5 & 6 September. 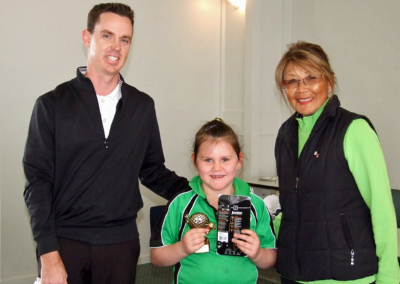 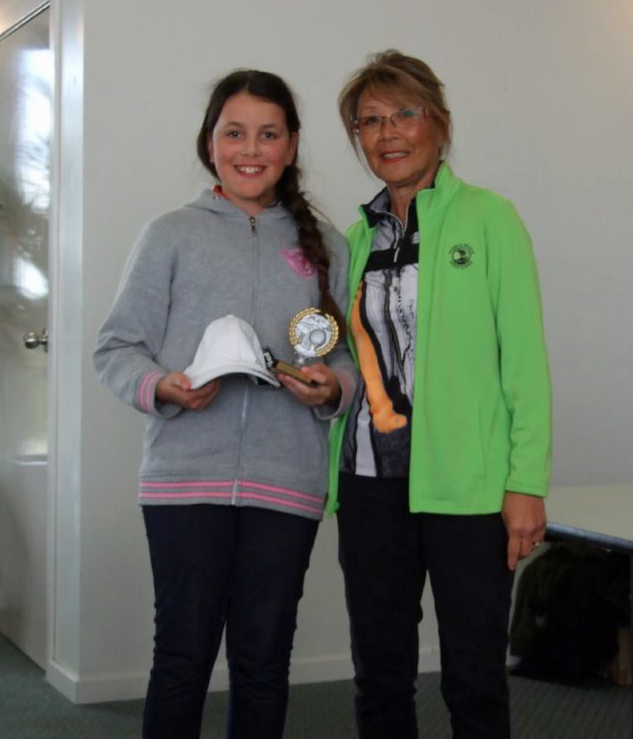 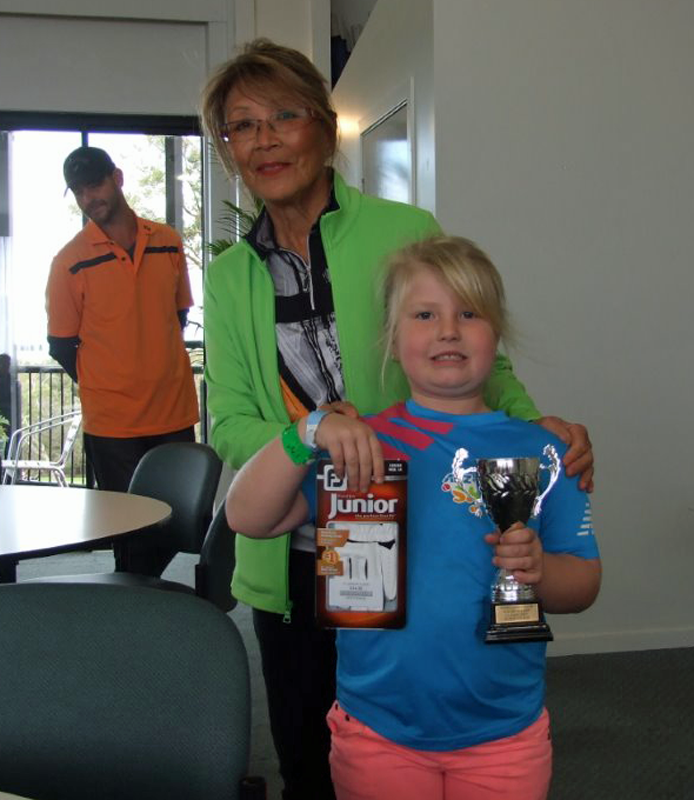 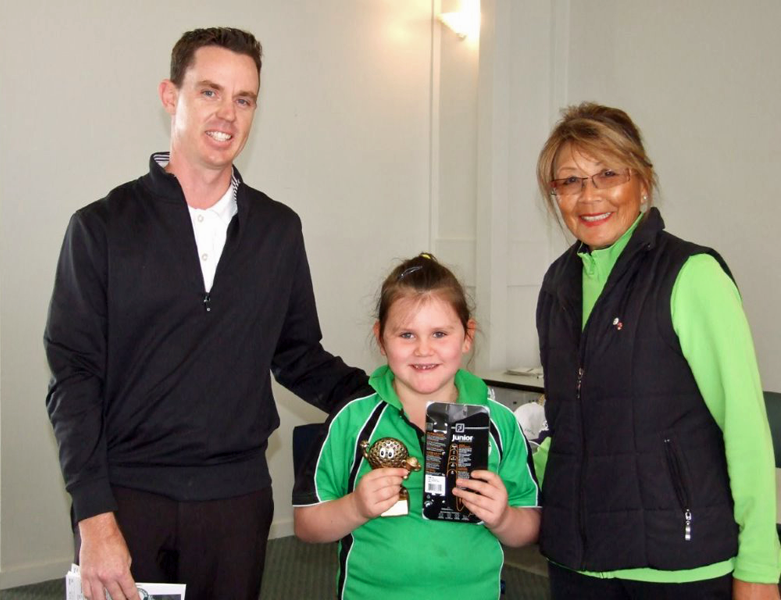 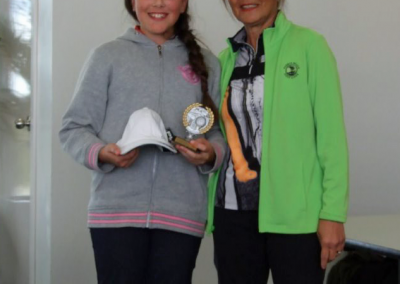 Hollie got the North Coast PSSA girls Champion Medallion. 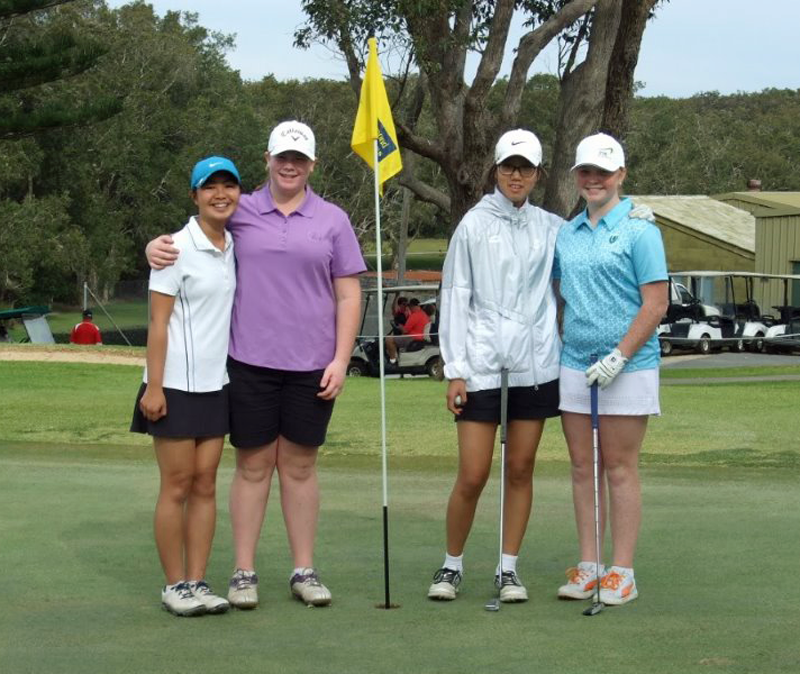 Attached picture shows girls just after their round.